Ryan Simon is incredibly excited to serve the youth of San Diego through Urban Youth Collaborative. His involvement with campus ministry began his sophomore year of high school when he co-led the Christian club at Patrick Henry high school which he continued until graduation. After graduation Ryan became an intern at Urban Youth Collaborative where he was blessed to impact youth from all over San Diego County. The following year he was brought on staff as the coastal area director where he has the privilege of spreading the gospel to schools in areas such as Point Loma, Mission Bay, Pacific Beach, and more! 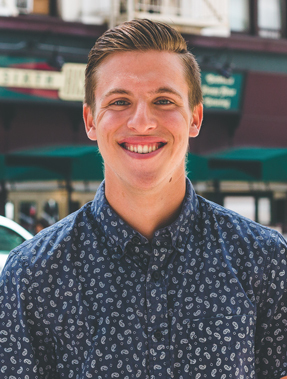 Ryan is a student at Grossmont College and attends the Grove church where he serves as a junior high and worship leader.